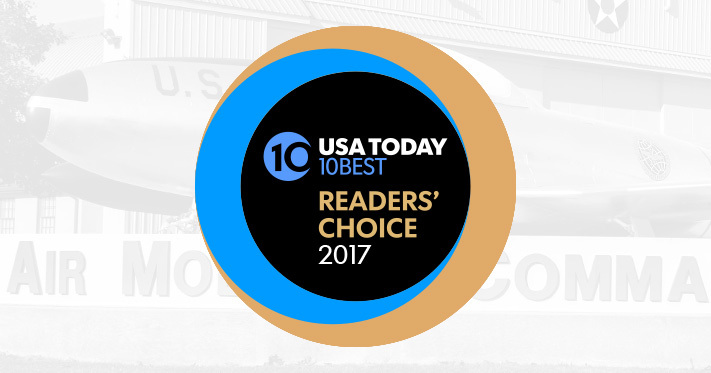 Thank you to our visitors and fans for voting us Delaware’s number one attraction for 2017 in USA Today’s 10BEST Readers’ Choice! With your continued support, we’ve made the museum a place for you, your friends and family to visit and learn about Air Force heritage and Air Mobility Command’s mission to support our military and those in need of humanitarian relief around the world. Help us to stay Delaware’s number one attraction. Contribute to our Annual Campaign or visit our Support page. Thank you!